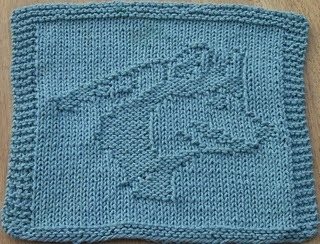 I'm a knitter who likes to keep her hands busy while watching television. And since my newest obsession is HBO's Game of Thrones, I've come up with a few project suggestions that fit the themes of the show. The pilot episode showed the discovery of a litter of direwolf pups, which are the sigil of the Stark family. 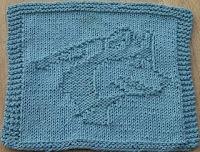 Happily, you can find plenty of wolf-related projects to put on your needles in time for the second episode on Sunday. The wolf dishcloth on the left is a nice starter project for a newer knitter. It's made up of knits and purls and won't require anything more complicated than counting. Plus, it'll be handy in the kitchen as you're whipping up a batch of lemon cakes. Spring may be on the way here, but on the show, winter is coming. 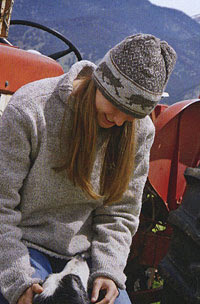 So prepare for the icy winds on the Wall by knitting the cozy hat on the right. 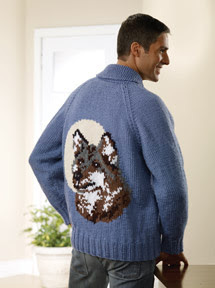 I'll admit, I've never tackled an intarsia project, but this might be the one I try first. Megan S. has written about Vampire Knits: Projects to Keep You Knitting from Twilight to Dawn before. Heck, she even highlighted the wolf hat on the left. 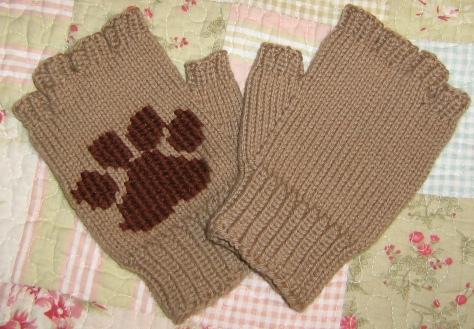 But it's worth mentioning again, along with the cute fingerless paw print mitts. Also, I can see into the future: I will someday make both of these projects, and my husband will definitely wear them in public at a number of inappropriate times (winter weddings, work functions, funerals, etc.). Crocheters, I haven't forgotten you. 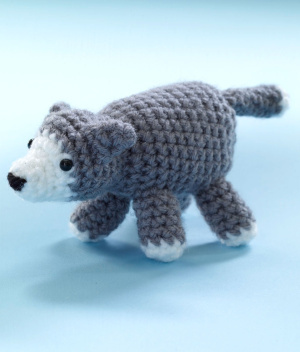 You possess the skills to create wee, cuddly amigurumi creatures, and boy, are there lots of wolves out there. 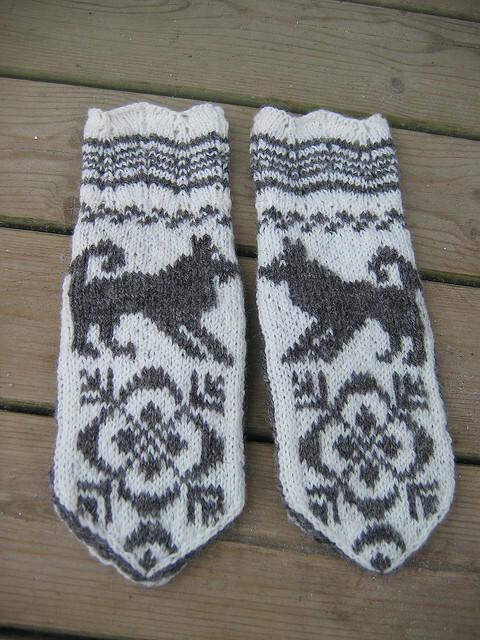 The pattern for the direwolf on the left -- let's call him Shaggydog -- can be found here, while the pattern for the direwolf on the right -- Nymeria, say -- can be found here. Don't you want to crochet them and then pet their wee little heads? If you're looking for a bag to tote your collection of George R.R. Martin novels around, here's one you can crochet the features even more direwolves than there are Starks. So what do you think? Any projects pique your interest? Also, be sure to check out our list of Targaryen dragon crafts! this is awesome! 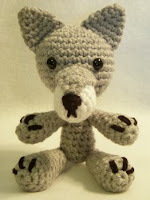 the little crochet wolves are too cute. i want to make an albino one.